One of the things I’ve been interested in doing in these 31 days is looking at what engagement in a creative pursuit can mean to an individual, how it can satisfy something within them or change how they see the world. While the focus on this blog is writing, I want to see how different kinds of creativity work. Today I’ve invited my sister Sharon Wells who has always had an affinity with the visual arts, has become a proficient feltmaker and is now involved in furniture upcycling to tell us what these creative endeavours have meant to her. I am currently a stay at home mother with three children aged, 10, 8 and 2. In my past I have worked as an Archaeologist, Archaeological Illustrator, graphic designer and project manager in online learning. During my second pregnancy I began to feel very creative. It was possibly a result of being at home in charge of my own day, in my own environment, hormones and restlessness. Two weeks after my son was born I took a feltmaking course. It opened up the creative world to me. 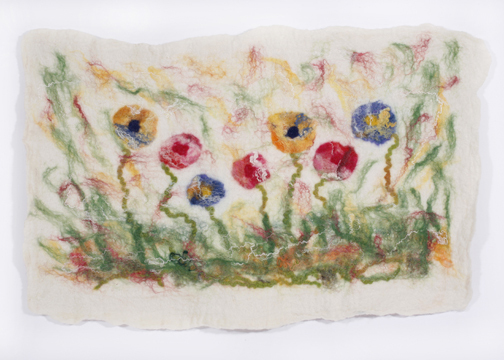 I loved the process itself and the connection it has to people thousands of years ago, as feltmaking is one of the oldest known crafts in history. It was like a door had opened for me. This craft has so many possibilities. 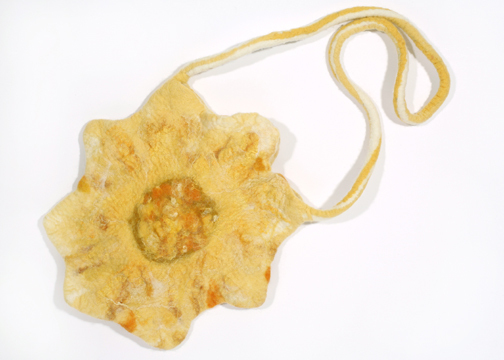 The process involves laying down wool fibres and mixing other decorative threads and silks into this. By wetting down the fibres and adding soap and rubbing and rolling, the fibres migrate together and form a solid fabric. With this skill I was able to make hats, scarves, dresses, sculptures, pictures. They could be made in one piece or cut and sewn. I designed new patterns for some of these items and learned how to create dimension. 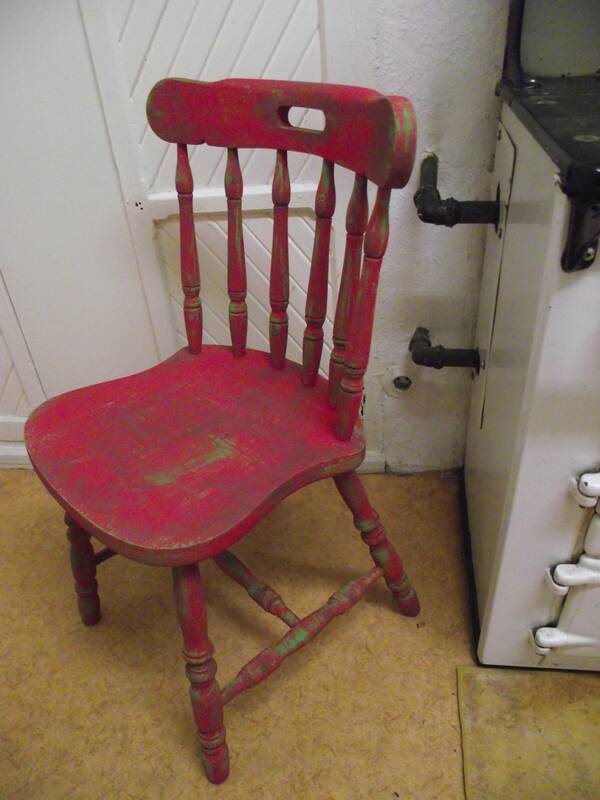 I became enthralled in the process and absorbed by the colours, textures and patterns I used. The process of laying out the ccolours was like meditation. 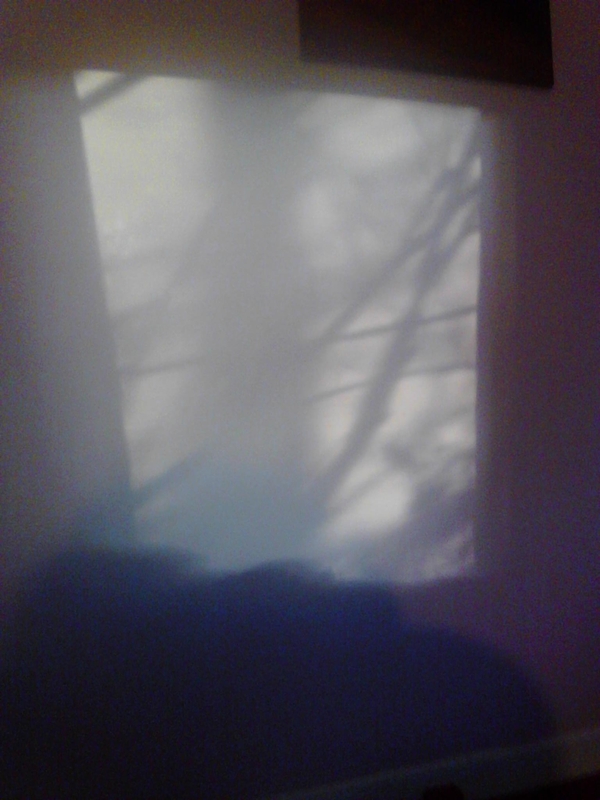 A wisp of thread here and there placed intentionally as a highlight. There was a freedom due to the nature of the felting process in that, if mistakes were made they could be incorporated into the design. I learned to go in the direction that the project decided. Even though I might plan things it would not turn out that way exactly. This was fine as I was involved in the evolution process. I have gained enormous confidence from engaging in all these crafts. It has shown me things about myself. I get excited at the prospect of new projects. I know I need to plan when I do them and balance this with my life with my family. Sometimes the moment isn’t right, and I have to be patient. There is always a moment when I think it’s rubbish, I suppose that’s like hitting a wall, and then I push through it. I am not afraid to try new things and I can usually come around some awkward problem. I wonder sometimes, whether I craft because I need to be creative or because I always have and I know how. It’s a bit of both and more. I remember when I was a young teenager pondering the meaning of life (with a sister like Alison this was quite normal!) The only thing that made sense to me was that we all strive to move forward, to do the next thing, to be better and to keep learning. I still believe this. 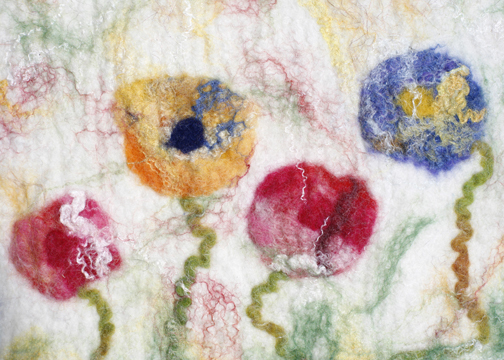 I had to cut down feltmaking due to severe tendonitis and moving house. 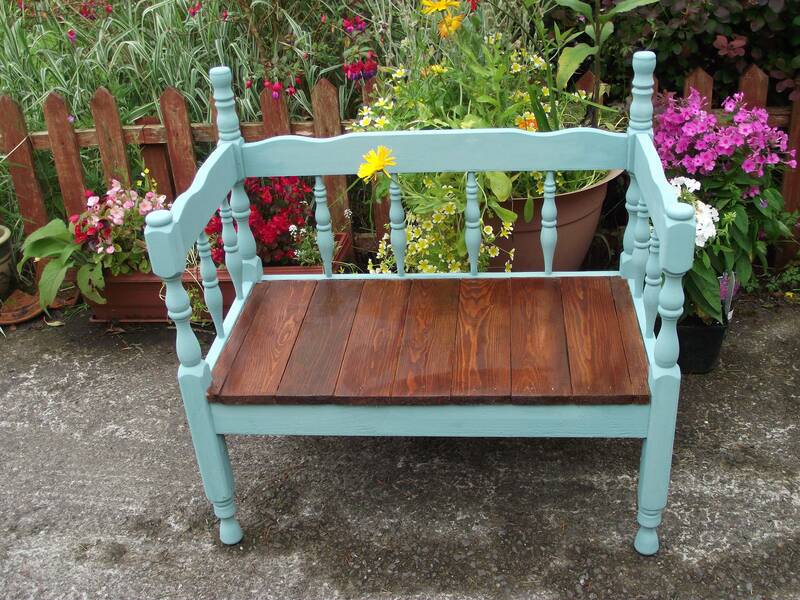 I now paint and upcycle furniture. I am also heading in the direction of mixed media art. This really fascinates me and although I diverge I am picking up the pieces that will pull it all together. As my husband tells me ‘it’s a marathon not a sprint’. Even if it’s a knitted hat, or a painted dresser or a recycled bed into a bench, I see myself and my own expression in it. This has brought me a calm, contentedness, from the act of doing it which is application of concentration, and from the knowledge that I am doing something I can, something I want and something I am able to do. It just may be that simple! 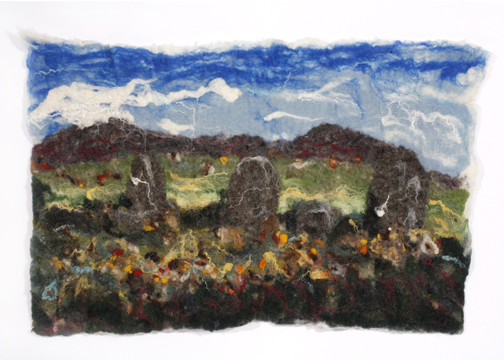 Sharon’s blog, though not recently updated is well worth a look to see the processes involved in her art and in her craft and she involves her young family in her work. She has also run a local craft group and I hope to share with you the wider view on how this group has helped people not previously involved in crafts to develop their artistic side. Please share with us any thoughts you have or endeavours you have taken up. It’s great to hear how creativity feeds into your life and wellbeing. Publishing is a hair-raising and confusing game at the moment. Lists are said to be shrinking and even well known authors sometimes struggle to make a living from publishing. There are also many publishing possibilities and many authors are choosing to let readers decide by bringing their books straight to market with the help of professional editing and design services. Eliza is here with us to day to share with us her thoughts on the advantages of self-publishing for new authors. I’ve been writing for four years. Over those years, I wrote three books, submitted two to agents and publishers and resubmitted one with serious rewrites and a much more favourable response from a reputable agency. The submission process didn’t come to anything, so I decided to self publish my most recent work, BECOMING HUMAN. I tried my best to plan the release accordingly, but the date kept getting pushed back because I discovered new things I had to do before I could proceed to the next step. For example, I commissioned a cover designer early so that I would have an agreed design well in advance of my ambitious release date of late November. What I didn’t calculate for was that my designer would need my final page count so he could set the size of the book, including the all important spine width. That meant I had to have the final edit completed on my work (which I hadn’t). Three weeks of solid editing ensued and my miscalculations pushed the final cover reveal back by a month. You have no idea what is going to happen when you self publish, but it can be an interesting learning curve. The more obstacles you face and overcome, the less likely you are to repeat them. With very strict deadlines and the pressures of a full time job, I managed to release the ebook in Mid December and the print version five days after. I enrolled my ebook exclusively in the KDP select programme, which means that I’m not allowed to release the book digitally on any other platform for three months from the publish date. That brings me up to mid March. Why did I do this? Because it can be a good way of bringing a new book to Amazon Prime members which in turn could be good publicity for my work. Of course, that all sounds great in principle but I can’t sit back and wait for things to happen. I have to work out how to drum up interest in my book. How can I point the members to my work other than enrolment in a programme for which I have very few statistics? At the moment, my marketing plan is a bit trial and error, but I will learn what works as time goes on and that should benefit the launch for my second book. At some point, all writers dream of securing that elusive publishing deal through traditional means. I can understand that, I was one of those writers. But it can be frustratingly slow and instead of agents/publishers seeking out your talent, you have to convince them of yours. The rejections can take the tarnish off what should be an exciting time in a writer’s life. If you do secure a book deal, it can be a great thing. The agent will guide you and the publisher will edit and format your work before publishing it. But for new authors that don’t see the work that goes into publishing as indie authors do, this could be a disadvantage. Indie authors are competing strongly with their traditionally published counterparts on digital platforms such as Amazon. And what self publishing has taught me is that you have to promote yourself and your work. While a traditional book deal is always nice, promotional efforts could be lost if the author is not involved. So, the ideal scenario? Understanding what goes into publishing your own work could make you a better author. Unless a publishing house has a marketing department, you will have to do the promotional work yourself. A friend recently told me about a guy who self published his novel but he didn’t have much success with it. He suggested I speak to him to get an idea of what went wrong. I don’t need to. I can list the main reason why. He didn’t promote himself or his work. Somebody once said about debut authors, ‘Nobody cares about your book.’ It’s up to you to convince them otherwise and self publishing can give you the confidence to do that. Thanks to Eliza for this food for thought and I wish her every success with Becoming Human. She is currently working on ALTERED REALITY, book 2 in the Exilon 5 trilogy. 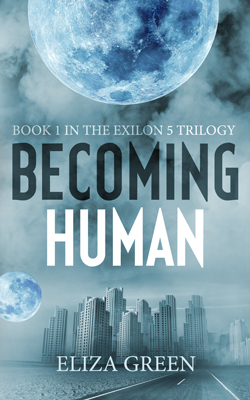 BECOMING HUMAN is available in print and Kindle ebook format (exclusively until mid March). Afterwards, it will be available in several other formats through Smashwords. Eliza has kindly offered a free copy of her book. All you have to do is add a comment below. Tell us about your favourite science fiction film., Favourite science fiction television show or Favourite alien (humorous or serious is fine). This is an old post but I thought it was appropriate as a 31 days post as an exhortation to the kind of life we want to find beyond our worries and challenges. 31 Days Guest Post Claire King: How do you keep the joy in writing? How do you keep the joy in writing? How do you put it back in when you’ve lost it, particularly if you are working on a longer project? These are questions I often struggle with in my own work, even if the project is one that I’m generally happy with and committed to. I asked novelist Claire King whose debut novel The Night Rainbow has been published by Bloomsbury if she could share her thoughts with us. 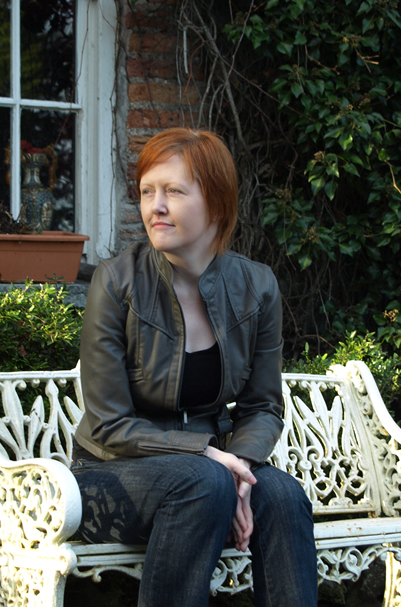 Claire combines work, writing and family life (originally from Yorkshire, she lives in southern France with her husband and two young girls) and is now revising a second novel. I’ve found her thoughts inspirational and hope you do too. 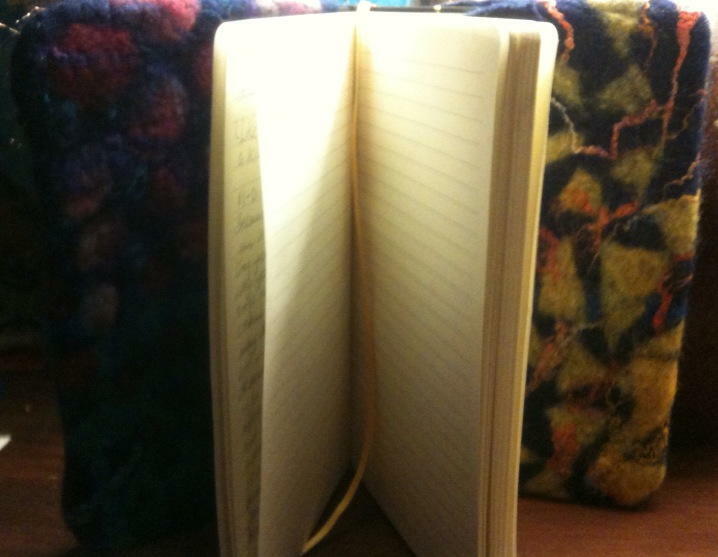 You asked how I keep the joy in my writing, or put the joy back in when I’m struggling with it. I feel as though I could come up with a short list of tips like going for a walk, using writing prompts to kick off a piece of flash fiction or reading something inspirational. But in the end that would sound glib, because lacking joy is more fundamental than just being a bit uninspired or bogged down and needing to take a break. I think this is important on many levels, not least in raising the question: where does the joy come from in us? 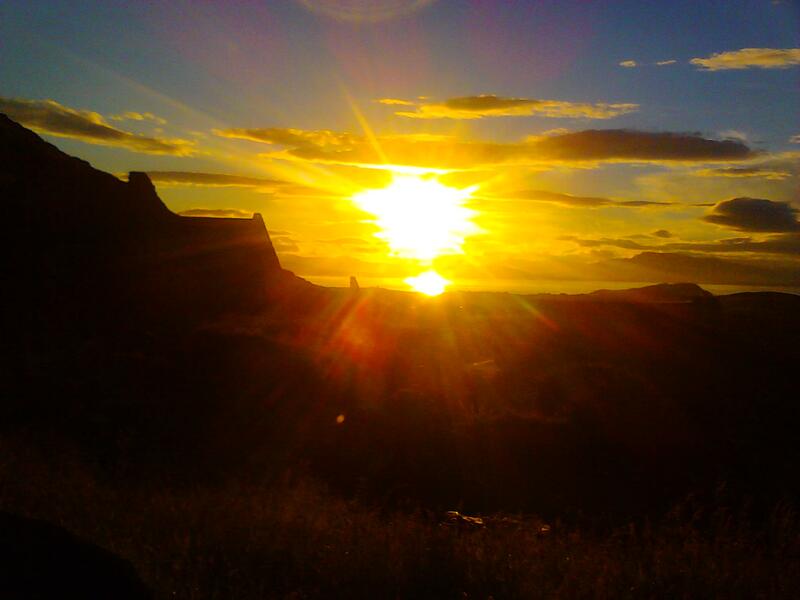 My view is that it’s to do with how we define ourselves, what we believe makes us happy and our lives meaningful. Writing is certainly one of element of how I define myself, so if I lose the joy in writing then I am losing joy in myself. Perhaps that sounds terribly over-dramatic, but isn’t it true that however you define yourself in life, the joy waxes and wanes? We may not always admit it to others, but there are times when we can lose the joy in learning, in parenthood, in being a spouse, in food, in sport, in our bodies, in our environment. Somehow all the colour goes out of it and we wonder if we will find that again. One of the nice things about getting older is the accumulated experience of life’s ups and downs. So when you hit one of these patches you know that you’ve come through it before, that it’s cyclical, and that if you press on you will come through. Yes, there are some days when I find writing frustrating and energy sapping, days I just can’t find the right words no matter how hard I try. There are some days I can’t even discipline myself to try properly at all, and then I feel bad about myself, and call myself names. But then there are the days when it just all comes together, when I lose effortless hours advancing the story and pushing the right pieces into place. When characters bloom and take on a life of their own. When perfect expressions seem to fall from the sky. And those times are rewarding, exciting and joyful. I have to remind myself of that. Still, there’s no use just waiting for the joy to come back. I think we have to hunt it down again and that means figuring out the underlying reasons for why it was lost in the first place. Perhaps we are tired, discouraged, pre-occupied, or overwhelmed…If we can put a name to it, we can start to find ways out. I’ve found, personally, that I have a sort of mental ‘bank account’ that fills up with triumphs and successes in the things that matter most to me, and depletes with failures and admissions of defeat. If writing is going badly it’s a drain on the reserves. A slow trickling debit. But it can be offset by little credits in other areas. One of the reasons I walk/run regularly is because it’s physically demanding. Once I’ve pushed myself up the mountain and galloped back down again I feel better about myself and what I can achieve. I think it’s important to have something like that, that gives you small victories in your life’s pursuits. When I started writing The Night Rainbow I was pretty much constantly exhausted from having two very young children and juggling all sorts of work and personal matters. It seems like a crazy time to start a novel. But I realised that my entire time was devoted to the care of others and earning money to live, and in some ways I felt as though I was losing myself. I needed to do something to redress that. Don’t get me wrong, raising my children was very rewarding and I was so inspired at that time by the joy I saw in my children. They found joy in the smallest things – a caterpillar, an iced-lolly, a drinking straw. I felt positively jaded in comparison to them, and I wanted to explore that in my writing. In that novel I wrote a mother character, Maman, who is clearly depressed and not functioning at pretty much any level, spending most of her time in bed. Maman isn’t me, of course, but I think I was overwhelmed by how much my daughters needed me, and I was worried that this inability to cope was inside me somewhere. It was cathartic creating her, and it’s really interesting reading the early reviews coming in and seeing how they respond to that character. I’m so pleased that readers can empathise with her plight. One important element of Maman and her depression is that she is lonely and alone, which serves to deepen her troubles. She has no-one to talk to. I think we should always bear in mind that losing our joy on whatever level is not unusual and that we’re not obliged to tackle it alone. Other people can help remind us why we are doing this, remind us of the bigger picture, and what’s important. They can also help on practical levels, take responsibilities off our shoulders, give us encouragement or rest or whatever we need to find ourselves again. At the moment I’m living a peculiar juxtaposition. On the one hand there’s the utter brilliance of being a couple of weeks from the launch date I’ve waited so long for, seeing wonderful reviews already coming in and being able to hand over a signed copy of my novel to my mum. Joyous. On the other hand I’m editing my second novel and it is such hard going. I haven’t showed it to anyone yet, because I’m not proud of it. The voice isn’t perfect, the character arcs stutter a little. I often wonder if I set myself too ambitious a task with this one. It’s like being on a roller-coaster all day. But I know that if I change one word at a time, eventually it will take shape. I know this because it’s not my first novel, and I’ve felt like this before. I have to ignore that joyless inner voice who tells me to have a cup of tea and turn on the TV instead. I just have to put one foot in front of the other until I get there. The joy in these words will be around the next corner, I’m sure. Thanks so much to Claire. If you want to discover more about the world of and characters in her novel, here is the wonderful book trailer to The Night Rainbow and you can read about it here. 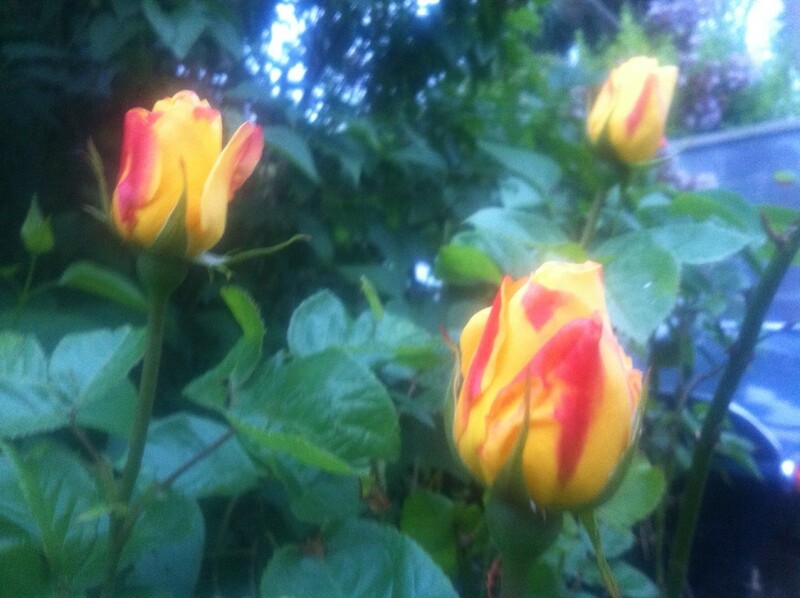 ­­Another pleasure of this 31 days posting odyssey is finding writers who’s work I had not been aware of before. Gerry O’ Donnell joined in with earlier writing prompts to produce fantastic flash fiction and poetry. Knowing that I was a fan of David Bowie Gerry kindly got in touch to tell me about a creativity technique he’d heard Bowie talk about. He said “I remember seeing a documentary about Bowie a few years ago. Apparently part of his creative technique in writing songs involved writing words and phrases on pieces of paper, putting them into a container and then randomly drawing them out and putting them together. He later computerised the process. In the programme they even had some University Professor sit around a table analysing his lyrics in an effort to decipher their meaning. They ended up giving up because the lyrics had multiple meanings. This is pretty much the way with great poetry – multi faceted and multi layered.” Gerry went on to suggest that we could use this idea for our next flash fiction prompt. Gerry went on to try out the exercise. He went on to select several words. His one stipulation to himself was that he would use the positive connotations of the words to create a lighter piece. Here are the words that Gerry used and that will be the word prompt for this week’s writing exercise. Write a short fiction containing some or all of the words above. Alternatively you can use your own shortlist of words. To give you an idea, Gerry has agreed to let me post the flash fiction he came up with as a result of the exercise. The quality of his work goes to show what can be achieved from linking seemingly random words. Sometimes we need to seek a spark instead of waiting for the perfect story to suggest itself. Leaving the Matriarch speechless on the veranda, she jumped into her red sports car. Before driving off, she doughnuted one last time, looking at her home, while spraying her highness’s feet with the red dust of La Provence. That was the only thing her mother ever cared about anyway. Now she wished she could bury her in a sandstorm of the cursed stuff. Racing through the vines with the radio blaring, she snapped open a bottle of beer with her teeth, downed it in two slugs and threw the empty at the pewter face of her great grandfather, the founder of the Vineyard, who adorned the archway over the entrance. She burped loudly, wiping her mouth with her arm and smiled wryly when she thought of her tutors in the Swiss finishing school. Once on the highway, that ran alongside the rail track, she felt free from her chains. The vines that had wrapped and suffocated the neck of her spirit, fell away now and she tasted oxygen as if for the first time. It was better than any vintage Provence had ever produced. She looked at the time on the note he’d squeezed into her hand a week before when she had got ­out of the taxi. She heard the train gaining on her. It was alongside now and she could see him at one of the windows. The sunglasses and that enigmatic smile. She floored it until she got to the train station where she skidded to a halt sideways, alongside the steps, beside a hunkered homeless teenage couple. Hopping out, she grabbed a travel bag from the back street and tossed the keys to the boy.” It sticks a bit in third” she said, and winked. He smiled broadly. She knew there would be no regret. Looking at her designer watch and then down at his girlfriend she spoke again. “Where I’m going, time doesn’t need to be quartered”. She took of her watch and handed it to her. The train had pulled in and was getting ready to leave again. Standing at the gate she hadn’t a single cent with which to buy a ticket. Just then a paper aeroplane came flying out of a window on the train, across the barrier and hit her gently on the brow. Along with the ticket collector she laughed heartily when she found a train ticket inside it. A bronzed hand opened a carriage door. The locomotive started to move. Her dress billowed one last time on the platform before dissolving like a watercolour onto the mirage of the runaway train. Put your flash fiction pieces in the comments if you want to share them or simply use this technique to see how it works for you. It would be great if you come back and share what worked or didn’t work about it. I won’t be selecting a winner as such but you are welcome to add your names in the comments for a draw for Self-Printed, Writing Gifts and Housewife with a Half-Life in the writing for financial resilience post. Many thanks once again to Gerry for this great word prompt and wonderful story. While there are some amazing success stories, there are many more examples of writers who practice their craft for little or nothing and many relatively successful published authors earn less than the basic wage. There are however, several optimistic and creative ways in which you can use your writing to generate some income or to provide value to you in your daily living. I’m going to share with you here some examples from some writing colleagues. 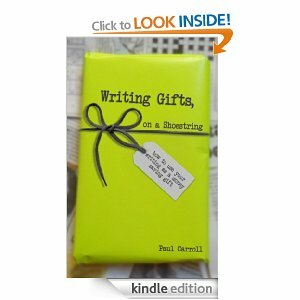 A lovely project I heard about recently was Paul Carroll’s book ‘Writing Gifts, on a shoestring. In Paul’s words ‘I know what it’s like to want to be able to give something to people, even just a simple card and not have the money to do it. Add to that the cost of food bills, heating, electricity and a mortgage and writers living on a basic wage could find themselves in an extremely difficult situation.’ Covering ebooks, short stories, poetry, picture books and scripts, Paul suggest ways that you can use your writing to give a unique and personal gift to friends and family ‘without the price tag,’ It’s a simple idea but one we may forget and is well worth checking out. Our creative and financial circumstances vary over time. Rebecca Emin, a mother of three young children she says “I had been looking to build my income up a bit, so I looked around the job sites for a while and then realised I would much rather build up my own business at home to fit around my children. While my creative writing has been virtually non-existent due to external pressures,I have been working on helping other authors with their self-publishing ventures, which has germinated into a gradually-expanding business. Rebecca Emin has published several books, including two books for children New Beginning and When Dreams Come True, as well as a book of short stories. She is working on a book of writing, publishing and social media tips. Having released her own books she was approached by others who were struggling with the technical and practical issues around self-publishing. 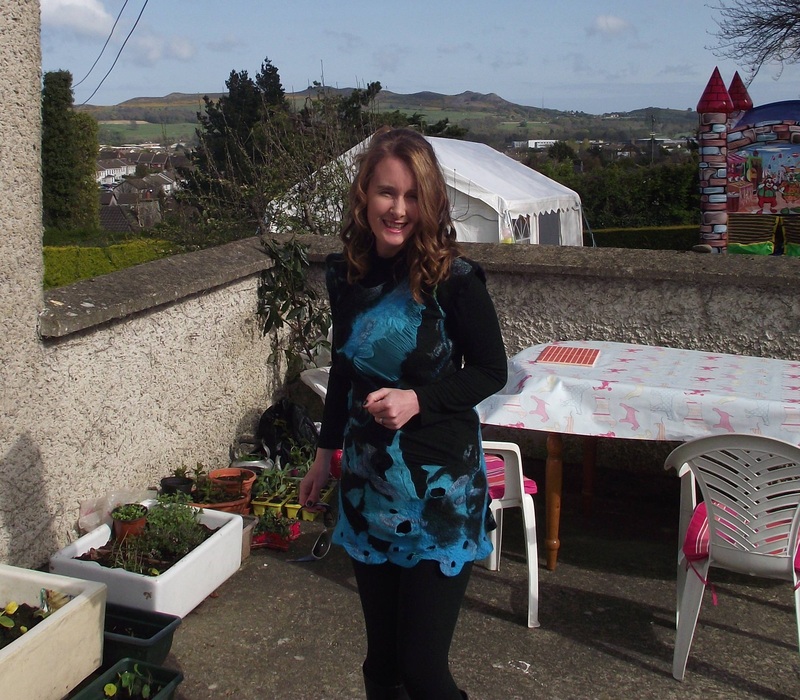 It was through offering voluntary help to them that she realised that she could “translate my own experiences from publishing and self-publishing into tailored packages/self-publishing solutions for each individual who approaches me.” Her self-publishing solutions are proving popular and she is building up a client list and is open to all inquiries. Catherine Ryan Howard’s life took an unexpected turn in 2010 when she self-published her travel memoir Mousetrapped. Sales took off suddenly in Dec 2010/January 2011 and she has sold 12,000 copies to date. She has brought out a subsequent memoir Backpacked. Catherine’s hard work in becoming a bit of a self-publishing guru by sharing her self-publishing adventure in an excellent blog (which has just been voted one of Future Inks top ten best self-publishing blogs) led to further opportunities and sales. She has also published an excellent step by step guide called Self-Printed on how to self-publish your book. I found this excellent when I took my own optimistic leap and self-published Housewife with a Half-Life. Catherine now lectures widely on self-publishing and social media (including a London course with the Faber Academy.) Although some of her success has taken her by surprise, she’s worked hard over the last few years and Catherine’s writing and related activities have allowed her to quit the day job and write full time. I’ve talked about deciding what we want to do with our writing and what we want our writing to say. Last year, at the age of 42 I decided to self-publish my genre (and alternate world) hopping book. Housewife with a Half-Life and later some mini collections of short stories. You can read about my experiences here. This was an affirmation of a book I believed in and an adventure, a chance to participate in an publishing arena where I could learn, interact and reach out to others in my own way. I haven’t ruled out traditional publishing but I’ve gained so much in taking a leap of faith with my writing. The examples here are of people who have through chance, adventure and their own hard work found and created opportunities for themselves through their writing. Once again, it is a positive thing, energetic decisions were made and these writers were able to be more financially resilient through their writing activities. Sometimes these opportunities took them by surprise but these writers seized the chances that came their way. I’d like to celebrate these writers and encourage you to check out the links to their sites and their books. In return we’re (once again) offering some prizes. 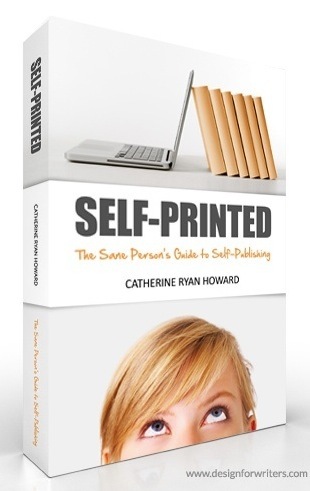 Catherine Ryan Howard is offering a hard copy of her fantastic book Self-Printed and Paul Carroll will give away a copy of his e-book Writing Gifts, on a shoestring. What I want you to do is visit and check out the blogs and books of the participants here and/or tweet or share a link to your favourite post/s of this 31 Ways to keep your Head above Water series. Then all you have to do is add your name into the comments. 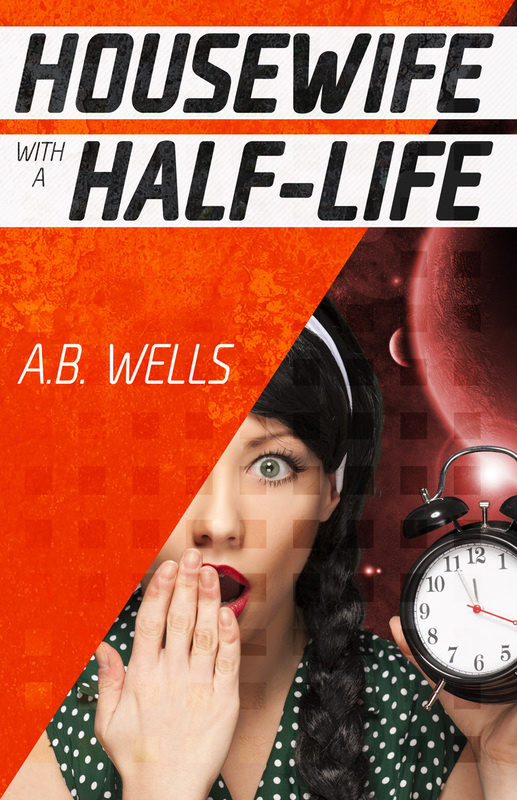 If there are enough entrants I’ll add a signed copy of Housewife with a Half-Life into the bundle. Winners will be chosen at random from the names in the comments. Thanks so much. 31 Days: What’s important to you? The day has got away from me and it’s getting late but I’ll share a few thoughts with you running on from yesterday’s post. We see the world in a particular way and one of the reasons we write is to explore our version of the world and perhaps fulfil what Maslow called ‘self-actualisation’, a desire to become ore of what we are, to follow what makes us, our particular ambitions. In other posts I’ve talked about how we can make sure that we are writing the book we want to write how we must gather to us the ideas, pursuits, stories, places and people that we find fascinating. We must follow that heart thread more closely than any other because it is the only thing that will get us to finish writing our books in the face of doubt, fatigue and confusion. It is the only thing that will guard against weariness in the face of daunting odds. Earlier today I read of phenomenal publishing successes and noted immediately an uneasiness in myself, a sense of failure for not having reached anything like such success. But then I thought about it, I asked myself what was most important to me, financial success, recognition, the act of writing and expressing my feelings about the world. For me, the latter is the most important of all. Only if we know what we really care about can we know if we’re going where we really want to or if we’re just doing what we think we should. There is in modern life a fallacy of us being able to do everything. Life is finite, time is finite. We can manage it better, we can make the most of it but we still have to choose. We cannot be a concert pianist and a prize winning novelist and a great parent and a film director, well at least not all at once! Realising what is important is not always obvious. We are swayed by our peers, by our families perhaps, by norms and upbringing. What we feel is important will uplift and give us energy and strength of purpose, what we feel is not important will drain us and make us cross and resentful. We may need to find a space for things that we feel aren’t so important, reassessing and noting where they fit into a wider whole. But generally we must find a way of moving with joy towards the things that matter, putting our energies into particular projects until they are done. Life is not easy, there are many things that can hit you full on as you go through life, some challenges and losses increasing as the years go by and some people start out through illness and circumstance with challenges from the off. There are many horrors and injustices that make you wonder what kind of world we are living in. On a personal level there is this perpetual striving to make sense, so we make stories, we are wired for narrative, we make attributions about our own and others behaviour, we seeks answers, meaning, higher guidance. We have superstitions, we make magic out of coincidence and feeling, we do what we can to traverse this life with some semblance of sanity but we all have our neuroses and delusions. Why writing, why art, why books, why dance and music and pink and blue skies and fractal trees and light, sunlight through baby green leaves and golden autumns and the perpetual sea? Why, as writers, do we reach out to each other through words, why do we do this thing which is capricious and hard. Why aim for publication which is – as one well known writer recently said – often ‘disappointing’? It does not give you the means to live, it is fraught with lottery and hype. But when it works, when we find a book or write something and share something that says what we feel and what we mean, it is a gem, it is a triumphant, gorgeous thing and for that one moment we feel fine, the inner restlessness settles. Why I am a writer is this: I am bowled over by the world, it comes at me, the miracle of it, here as we stand on a rotating globe in the middle of darkness. Here as we live as humans, look, see, love, look inward and think and marvel, our very existence, this astounding cosmological coincidence, this kiss of life. Here I am at this moment alive in this time, thinking of that man’s sadness in 1775 at his infant son dead. We think we are special, that we have sensibilities beyond those in the old days. No it is us, human, merely repeating and repeating. Right back to Archimedes and his fascinating inventions and thoughts, the stars mapped, the oceans traversed, this fumbling now out to the stars and more great satellites and probes and the earth melting and meteorites whizzing past. Here I am, nothing and nobody but as much a part of humanity as everyone – that jabbering, gibbering mass of sense and nonsense. I am important and I am nothing. And these things I think and feel are as important as Betelgeuse and as insignificant, as dust, dust yes, containing everything. What do we have – we humans naked across centuries, our clothes rotting from us in the earth? We have these things we try to do, this impetus, we have love, what we think of as love, big or small, special or universal. So I reach out, I make meaning out of the bricks of words. I gather to me and care deeply for those people who seem to share this sensibility and this frailty, this sense of standing at the edge of things, on the edge of things on this hurtling earth, those people who need to make marks in the sand as a testimony to our journey, this insignificant number of years we are here and then we are gone. Susan Lanigan says it too. Why when depression hits and she might look at the dark side of the sphere instead of the light, she chooses to live and to make art and to bear witness to this life of horror and joy. This is why we write, this is why we go on doing something that is hard and makes no sense, logically. It is to make sense of all this, this senseless, chaotic spinning world, this restless, reckless humanity.